Dr. Hart's Weighted Blanket Review – Can It Really Improve Your Sleep? We do not know about you, but most people will trust what a qualified doctor tells us. Well, Dr. Karen Hart, a practising neurologist claims that her rich experience in the medical field has enabled her to create what we now know as Dr. Hart’s Weighted Blanket. 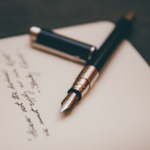 Who is Dr. Karen Hart? Dr. Hart’s Weighted Blanket – Is It Worth The Hype? Dr. Hart’s Weighted Blanket Review – Does it Really Work? What Sizes And Weights Are Available? Can we trust her claims that her line of products is perfect for anyone in need of practical and natural solutions to reduce stress and make sleeping habits better? By the end of this review article, you will be the judge. Meanwhile, let’s see if we can trust Dr. Karen by looking into the various features of her weighted blanket in this in-depth Dr. Hart’s Weighted Blanket review. .
As we mentioned earlier, she is a practicing neurologist and the creator of Dr. Hart’s weighted blanket. 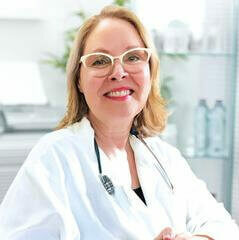 The doctor has extensive experience in sleep health with years of experience working as a physician. She asserts that she began the company with a mission of helping people like you enjoy better sleep via natural products. Earlier, she had worked for the US Army Medical Corps. There she often used heavy blankets owned by the hospital to help better the sleep of service officers struggling with medical issues like insomnia, joint pain, and PTSD among others. She noticed the service personnel recorded impressive improvements in the quality of their sleep. A thought crossed her mind that the general public could also benefit from such blankets. The hospital-grade blankets are made of clumsy, rigid material the same as the one lead apron your dentist uses when giving your X-rays. Dr. Hart set out to offer the civilian community the “most comfortable and luxurious weighted blanket in the world.” The question is – has she succeeded? We’ll soon find out. As per Dr. Karen, her innovative design borrows from the recent clinical research carried out on Deep pressure stimulation and its beneficial effects on health and mood. Like a warm hug, she says, deep pressure stimulation makes you feel safe, secure and grounded by stimulating the local receptors distributed throughout your body. 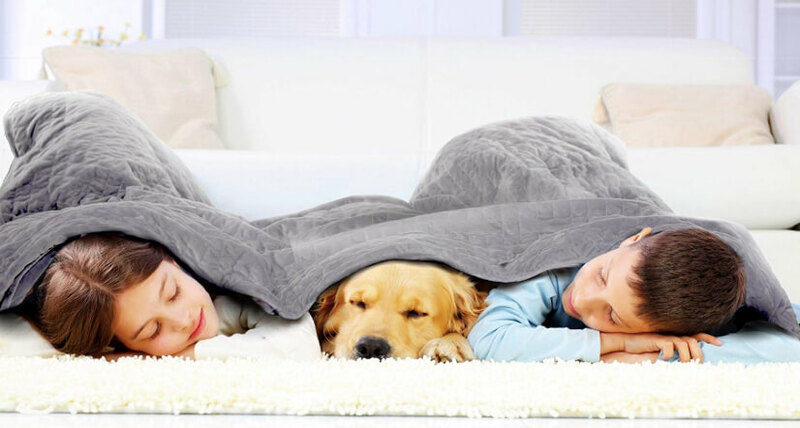 The blanket boasts of a patented ContourWave design and top-grade materials. The ContourWave technology features organically shaped “waves” that takes the shape of your body and distributes the weight of the blanket uniformly to your entire body. Only a few brands use this technology. The preferred weighting materials for most brands are glass beads, polly pellets or silica sand. Dr. Hart comes up with a patented weighted material technology she calls DreamBeads. DreamBeads are created using quartz microspheres. According to the company, only Dr. Hart’s line of products use this weighting material, but we cannot verify this. We gather from many Dr. Hart’s weighted blanket reviews that the material is soft and quiet. A little research also tells us that quartz microspheres are toxin-free, hypo-allergenic and odor-free. Interestingly, the manufacturer claims that the DreamBeads make the blanket more comfortable by delivering breathable warmth in the cold days of winter and cooling sensation in the hot days of summer. Does it sound possible to you that a single blanket can provide you with warmth in the cold and cool you down in heat? It confuses us too, but the fact remains – Dr. Hart’s weighted blanket has proved to have such capability, at least according to customers. A lovely feature of this blanket is that it comes as a deluxe set consisting of the premium weighted blanket and an opulent micro-plush duvet cover. The micro-plush duvet is ultra-soft for maximum comfort. It is removable and washable in washing machine. The duvet feels incredibly lovely to touch, feels luxurious and adds extra warmth if necessary. In unusually cold nights, you can add it. When the weather gets hotter, you can easily remove it and use it alone, or you can use the inner blanket. The micro-plush cover is also an excellent coverage to children (and pets) that need the comforting warmth of a weighted blanket but are too young to use them. The inner blanket is made features 100 percent organic cotton and is warm and breathable. You can clean it in a washing machine (gentle cycle), but hand washing is also possible. Air-dry it on a flat surface for it to serve you longer. A service-connected veteran revealed to us that he bought a 25lb weighted blanket by Dr. Hart’s from Amazon. He said he needed to try it because he was battling anxiety and PTSD. According to him, after spending months scared of sleep and no meds help, the blanket finally offered him the relief he had been craving for. Now he sleeps like a newborn, and his moods are way better. Another consumer said he had PTSD and struggled with anxiety which made it impossible for him to fall asleep rapidly and sleep throughout the night. He would only get 20 hours a week (not per night). The first night he caught sleep faster but woke up twice in the night. Even so, he was able to go back to sleep, something that was not possible before. Now he sleeps soundly throughout the night with no interruption whatsoever. His symptoms have also significantly improved. 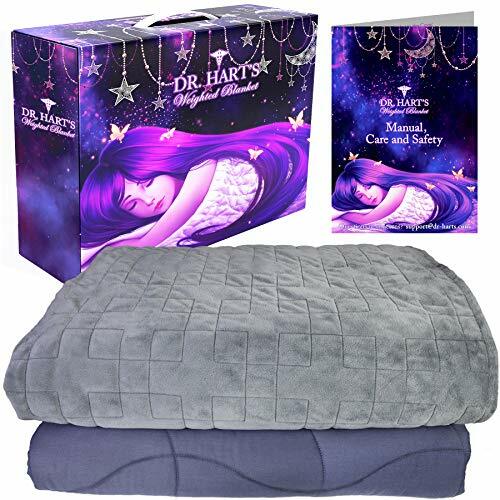 Hundreds of customers give this weighted blanket positive reviews, and we too are inclined to believe Dr. Hart’s is one of the best and most effective weighted blankets in the market today. Most leading brands of weighted blankets recommend that you use a blanket that weighs a little bit more than 10 percent of your body weight. Dr. Hart’s is no different. The calculation is simple enough for you to know where you fit. 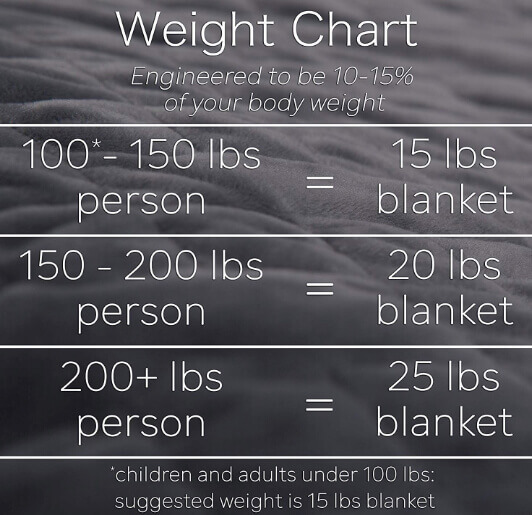 You can use a weight chart provided be on the official website of Dr. Hart’s weighted blanket or major online retail outlets. Here is a quick breakdown – 100 to 150lbs (15-lb blanket), 150 to 200lbs (20-lb blanket) and 200+ lb (20-lb blanket). The blanket is available only in one size measuring 60 by 80 inches. That’s large enough to cover all body types. Even two people can share it without one complaining. It fits twin, full, queen and king size beds. Do not hesitate to try Dr. Hart’s weighted blanket if you have been looking for a solution to your sleeping problems. The fact that the designer of the blanket is a medical professional in the field of neurology should give you the confidence that the brand is up to something. According to many Dr. Hart’s Weighted Blanket reviews, it’s one of the few blankets that you can use all year round. The DreamBeads technology makes it possible for the blanket to cool you down during the hot summer and provide you with warmth in winter. Likewise, there are other brands like Gravity and Quility which also offer great weighted blankets. You can check those as well. Do share your thoughts about this post in the comments section below. Dr. Harts weighted blanket is a highly researched effort of a practicing doctor who has an extensive experience in sleep health. The blanket does help in improving the quality of sleep and recovering from some of the common issues like insomnia, stress, PTSD, anxiety and other. We recommend using the blanket if you are facing any of the above mentioned problems.